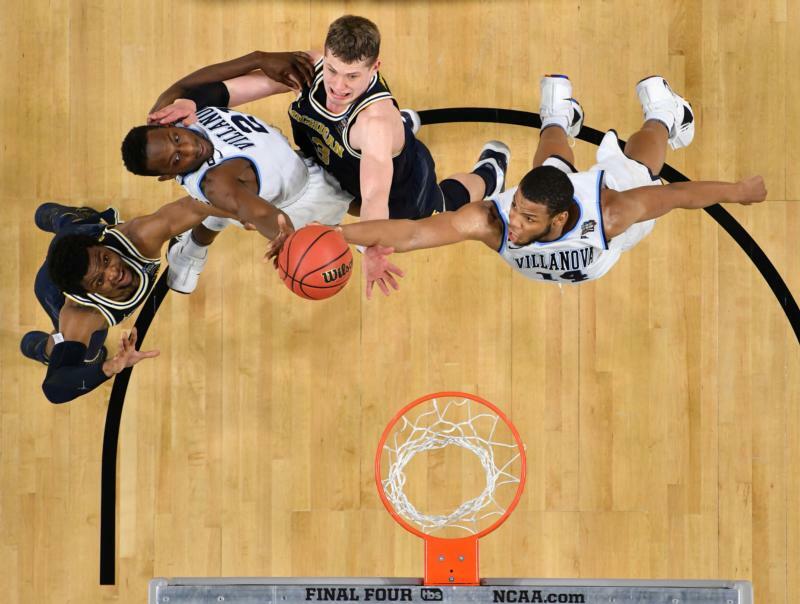 ROME (CNS) — The Villanova men’s basketball team claimed its second national championship in three years April 2 with a 79-62 win over Michigan, and I was an ocean away from 99 percent of my fellow Wildcats. But it turns out the 1 percent here with me in Rome was all I needed. Around 1 a.m. April 3, more than 20 Villanova students and a few Michigan students poured into the Highlanders Pub in Rome. As tipoff drew near, everyone huddled around tables near the biggest TV in the pub in nervous anticipation. The last time we won the national championship, we were massive underdogs despite being a No. 1 seed, but this time was different. This time, everyone expected us to win. This time, anything but a win would mean catastrophic failure. Luckily for my fellow Wildcats and myself, the team was more than up to the task. Donte DiVincenzo had shown flashes of superstar potential last season, but he ensured his status as the star of next year’s team, and the star of the tournament, with a dominant 31-point performance. This came as a shock to many college basketball fans who had not ever seen the man known as “the Michael Jordan of Delaware,” but every Wildcat watching in the Highlander knew what they were witnessing was not an anomaly. Despite missing out on causing a minor earthquake in the quiet suburbs of Philadelphia, I got to experience a rare moment of triumph and comradery with my fellow Wildcats in Rome. Each of us wished we could be back home as the buzzer cemented our victory, but at that moment, every Wildcat in the Highlander began chanting the Villanova fight song, and it felt like home. Then reality set in when everyone checked their phones and realized it was 6 a.m., and they had classes in a couple hours, or in my case an internship. Life doesn’t skip a beat, not even for national champions.